Chin is a central part of the face and plays significant role in overall appearance of the face. In case of cosmetic defects, it is difficult to hide with make up or hair style. 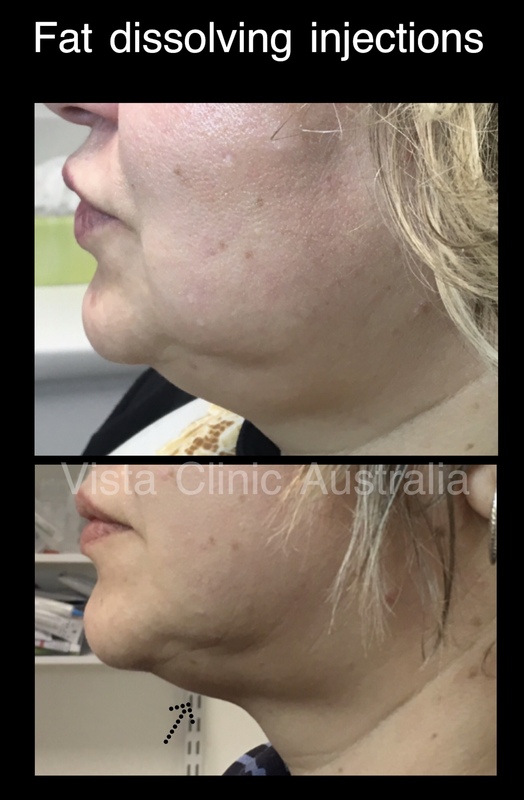 At Vista Clinic Australia, we have treated patients, who’s quality of life was significantly effected by chin scars, dumping or other problems. People avoid going out or having relationship and psychologically struggling a lot. It is important to know that there are a lot of options available to help in the modern cosmetic medicine. You don’t have to suffer in silence or go through expensive and significant plastic surgery. To name the few non-surgical chin correction options, are French subcision (or separation), dermal filler augmentation, muscle relaxant injections, threadlifting and thread reshaping, fat dissolving injection, minor liposuction. In this case, the patient had traumatic deformation of the chin, causing significant changes. The patient had no downtime, despite the bruising caused by the French subcision technique (bruising is a common complication of the procedure, but such controlled trauma actually is good as release growth factors and enhance regeneration). Such bruising easily covered with make up . Combination of dermal filler containing hyaluronic acid (natural moisuriser) and the defect release by subcision created immediate improvement. However, for stable results, up to 3 procedures are recommended. Filler lasts approximately 1 year and subcision is permanent. 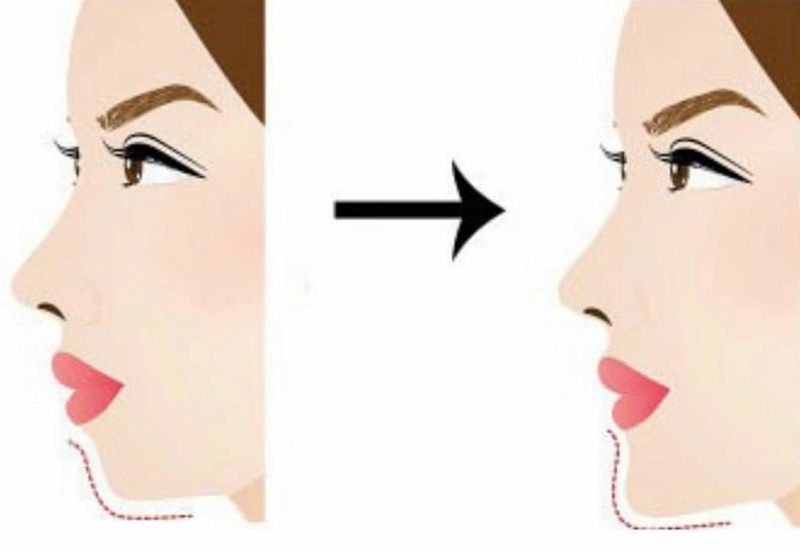 Sometimes on a background of close to perfect face, the chin is out of proportions small in relation to the rest of the face. This is easily correctable with strong dermal filler with a lifting potential. Experienced cosmetic doctor will sculpture shape of chin in according to the proportions of your face. Cosmetic injections is a combination of medicine and art, therefore it is important to choose experienced doctor, who can show you their own before and after. Make sure that your philosophy of beauty is similar with your cosmetic practitioner. In the worst case scenario, if you are not satisfied with the aesthetic appearance, the filler can be dissolved with antidote within few seconds. 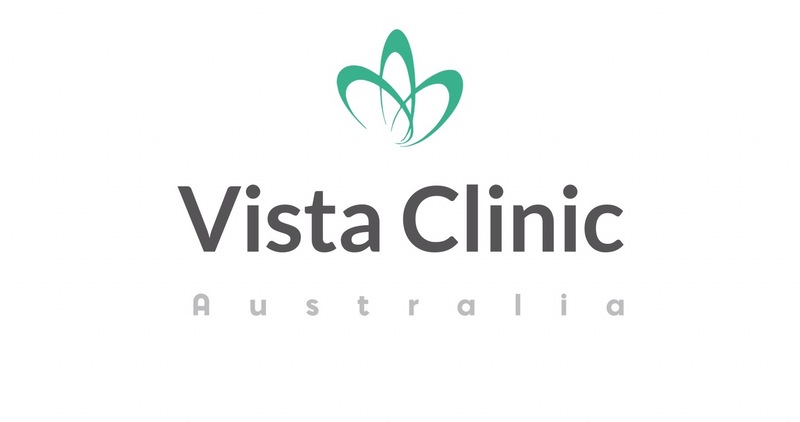 VISTA Clinic Australia doctors have experience with correction of results from somewhere else, although it’s much easier to do a good job in the 1st place. 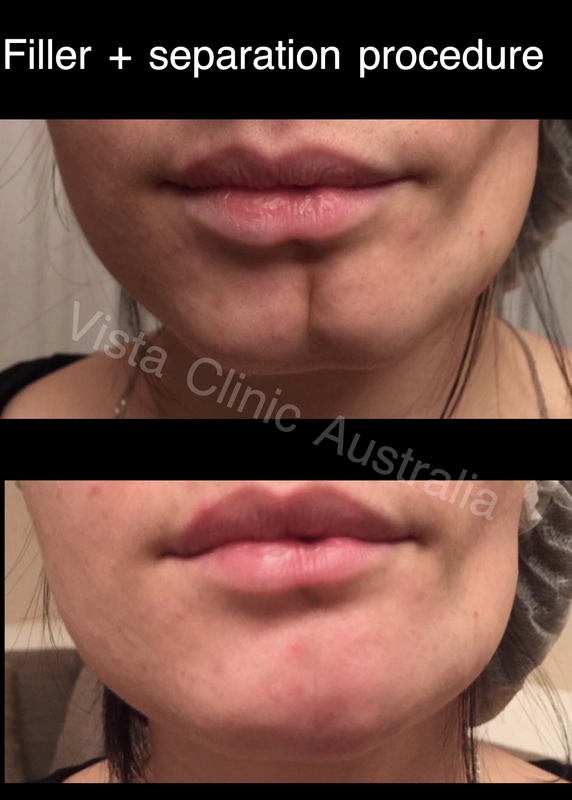 Most of VISTA Clinic Australia patients prefer subtle and natural look. Slight improvement with injectable fillers, then let the filler settle, then decide if top up again. Small chin is most commonly due to genetic predisposition. It is commonly associated with not clear jaw line and sometimes even double chin even in not overweight individuals. Our body naturally tend to keep balance, therefore changing balance from a small chin to a larger, more define chin, it is important to go step by step. 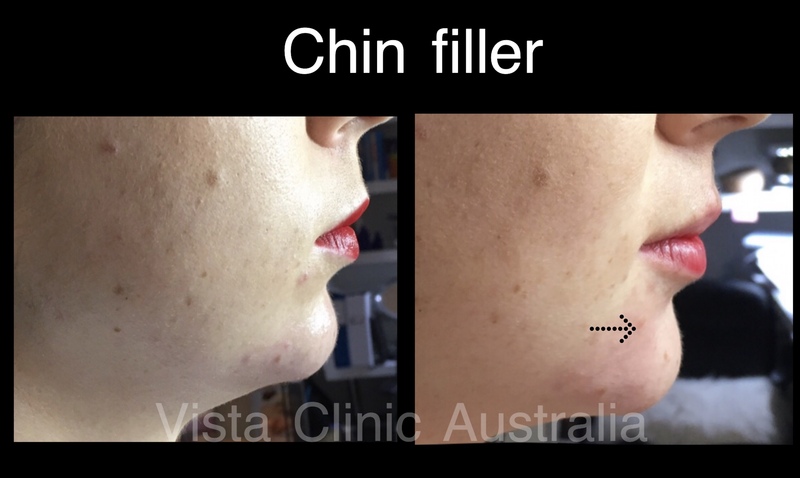 Initially VISTA Clinic Australia cosmetic doctor will improve your chin to certain degree only. Filler is a gel structure, but in approximately 2 weeks filler becomes more firm, solid structure. That’s time for the next correction, if needed. Initial filler is already firm and will be a basement for the next layer of the filler. Such approach ensures longer lasting filler, more natural results, and less amount of filler (= cheaper overall cost for patient). Double chin can be due to multiple causes. Most common cause of double chin is overweight body in general. Second most common cause is an aging process. Loosen tissues of floor of the mouth a hanging down, similar to hammock. Individual can be quite skinny, but still having double chin hanging down. Underlying bone structure with not strong enough support – for example, small chin or neck deformities. Depend on the cause of the problem, VISTA Clinic experienced cosmetic doctor will apply the most appropriate treatment option. Often the 1st step of double chin improvement is fat dissolving injection. It’s permanent improvement of fat storage, therefore fat couldn’t accumulate again in this area under the chin.